Flat trapezoidal shaped tablet case in enamelled gold. The upper part is hinged and opens with a push-button. 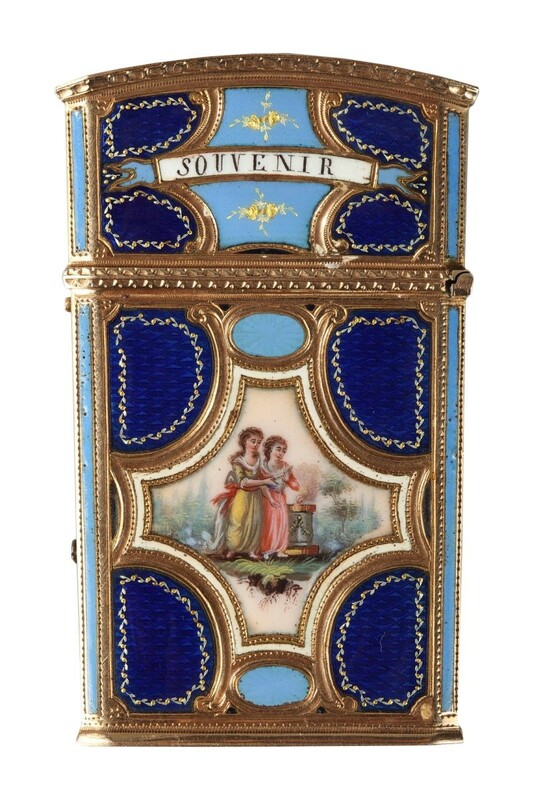 The case is composed of four translucent blue-enameled translucent panels showing a fine cross-guilloche pattern. 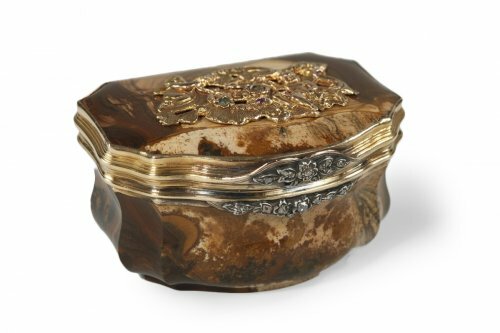 They are enhanced by a frieze of gold spangles and opaque lavender-blue enamel. 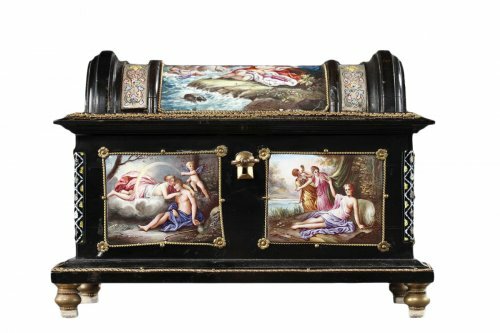 The main panels of the case are decorated with cruciform medallions decorated with pastoral scenes. One of the sides of the case presents two young women standing near an altar on a landscape background. On the other side; a dog raising in the grass a bird. The upper panels, meanwhile, have a motto in the form of a banner "souvenir d'amitié" and decorated with roses. 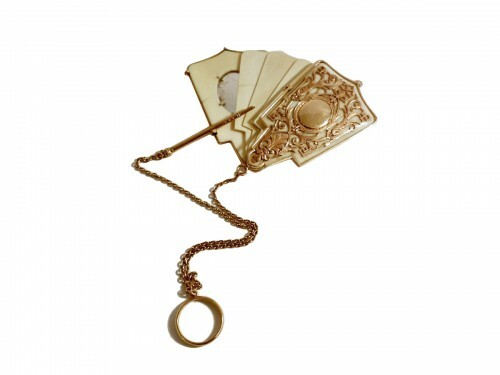 Inside, two ivory plates and a pencil with a gold mount. 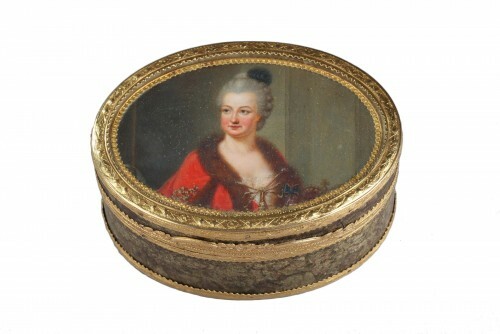 The fashion of these small cases develops throughout the 18th century. These small flat cases containing a necessary (ivory tablets and pencil) to write appear. We could then note his appointments. These cases are the ancestors of the notebooks that will develop during the 19th century. The inscription "Souvenir d'amitié" underlines the sentimental value of such gifts. Period: End of the 18th century.